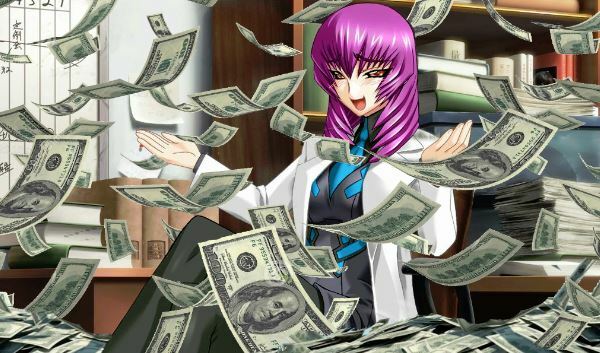 Kickstarter's End Celebration - PX Lounge - The Muv-Luv Community Forum! Here we are. The KS just ended. 1 255 444 dollars engaged. That's a total success. Thanks again to the staff and everyone who supported the project. Let's celebrate this the old fashion way ! Bring the food and the booze ! This party is only starting ! Woohoo ! Congratulation everyone, we did the impossible! Hrmmmm, I gotta go; buying booze. NOBODY CAN STOP THE PTSD BOYS. WE ARE INDEED THE STRONKEST FANDOM. A great start to an epic journey. Don't falter men, more hives await us! The hype is not done! KEEP THE HYPE! MUV FORWARD! AND ALWAYS LUV! Okay, no might. I absolutely need to. Except.. we've bonded through this and will keep bonding even more ! The hype needs to sleep for a while. For a about a year, it will seem as though the BETA have us cornered, while we're cowering in fear. But no, we're only working from the shadows, doing boring development stuff that's difficult to excite folks about. But soon enough, once the finished plan is ready, we'll release the final product into the market, and MAKE TONS OF MONE-I mean, ANNIHILATE THE BETA FOR GOOD! Roger that ! Restocking supplies as we speak ! The power of Luuuuuuv gives us strength ! Waiiiiiiiiit, I forgot to bring a towel ! I suddenly regret not buying any cans of solo to celebrate with. There's no rest for the HYPE. Not with Yuuko's Gift Bag on the horizon next month. because im sure not eating much for the next month or so. I'm happy! And I only counted like 6 people who pulled out in the last second. I was worried it'd be more, but I'm glad it didn't do anything to the $1.2 mil. Yep glad it was a sucess..... now just have to wait. sigh. I'm almost sad it's over with. What am I suposed to check 20 times a day on now? Most of those were $1 backers anyway. Overall, the last minute was still in the green. I feel your pain, man, but that's what the forum here is for. Everyone, keep friggin' chattering away! I feel you, man, but I hear an official Muv Luv site's coming out soon. Also, these forums aren't going anywhere, I just love the community here!